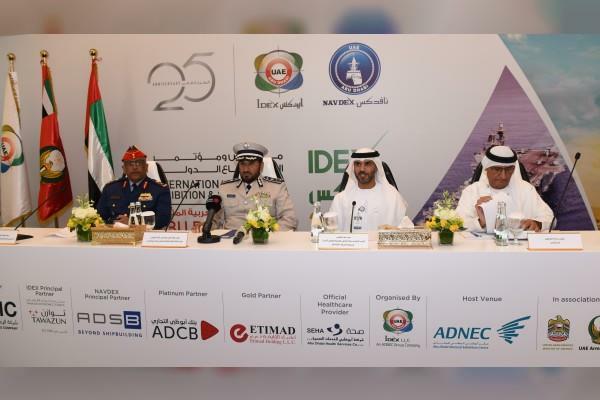 Increasing in growth year-on-year, IDEX 2019 is set to celebrate its silver jubilee with the largest edition ever since the expo's inception in 1993. Spanning the last 25 years, IDEX has become one of the largest specialised defence exhibitions regionally and globally. IDEX and NAVDEX will feature several new components in the upcoming edition, including an IDEX museum that details and celebrates the exhibition's 25-year journey. For the first time, IDC will be combined with the Abu Dhabi International Offset Conference, ADIOC, with the aim of creating a comprehensive global forum covering all defence and security issues, as well as relevant innovations of the 4IR under the theme "Shaping Our Shared Future: Strengthening Our Security and Prosperity through Innovation". This edition will also include a dedicated wing for Artificial Intelligence, focusing on advanced and smart systems participating at the exhibition.